Web shops and social media make a fantastic team. In addition to your online store, social media presence is an excellent opportunity to create a community around your brand, to engage with your audience, to promote your products and to build customer loyalty. Just to emphasize on the importance of social media, studies show that 95% of people (aged 18-34) follow a brand on social networks and around 75% of customers say they use SM channels to do their research on products and eventually buy them. Product reviews, testimonials and other social proof are very effective for visitors as they usually trust them as much as personal recommendations. Potential customers need to see positive online reviews before they purchase it, even if they come from people they don’t know. What are the most popular types of social proof? Product reviews and ratings are usually the first thing visitors check after reading about a product. Seeing that other people used the product and they are happy with them gives them a boost of confidence in the brand, encouraging them to purchase it. Testimonials convey more trust and authority than any type of marketing tool used. Generally speaking, people tend to believe a message coming from a consumer, rather than a catchy marketing headline. Celebrity/Influencer endorsement is widely used these days. Psychologically speaking, seeing a celebrity use a brand is the equivalent of a friend using it, so it’s an effective way to gain trust and give value to your products. Photos and videos play an important role in social media. High quality images are a must to show you are a respectable company. Having videos of your product in action is sometimes the proof the visitor needs to be convinced your product is the solution to their problem. More than 73% of people are more likely to buy a product after watching a product video. Social posts are important simply to show you are active and willing to engage with your audience. A company that’s not active on social media won’t be among the first choices for potential customers. 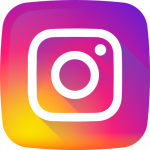 Instagram is one of the best marketing channels for eCommerce shops. Not only is it a nice looking platform with a high engagement rate, but also a fun and effective method to showcase your products and promote them. Let’s discuss some Instagram marketing tactics. Get to know your target audience – what do they like? What do they follow? What are the hashtags they use? What type of photos do they post? Once you have these answers, work on finding your audience. Look for relevant keywords and hashtags to find your closest competitors. You can find a lot of accounts in your niche by using this method. Follow the pages which seem interesting to you and are relevant to your business. The path is simple: follow a user, like their photos, add comments and message them directly. By doing these steps, you’ll get more followers and more traffic on your page. Exposing your brand to a wider audience has its benefits. Start by creating a list of big accounts (20k-500k followers) in your niche. Use Webstagram to look for popular hashtags. Email them and ask about sponsored post pricing or even send out your products for review. Do your research on appropriate keyword research to find out what hashtags would be more relevant to your posts and your audience. These should be popular words searched on Instagram. You can use Iconosquare for analytics. Do this on a regular basis, as the keywords usually change every few months. There’s a lot of work involved in social media activities. If your time doesn’t allow you to do as much as you would like to, consider using an automated method to like, comment and follow users based on hashtags or other criteria you set up. Kicksta and FollowLiker are popular tools used for growing your follower base and promoting your products. Use one of these apps to schedule your posts – Buffer, Grum, Latergram or Schedugram. Research shows filters applied on images influence the way people engage with them. The most popular filters on Instagram are Valencia, X-Pro II, Earlybird, Amaro, Rise and Hudson. Recent research shows that Instagram gives brands 25% more engagement compared to other social channels, but in fact it could be even more than that. By using the tips discussed in this article, you should be able to increase your social media followers, to have better visibility and to get more traffic on your pages and website.